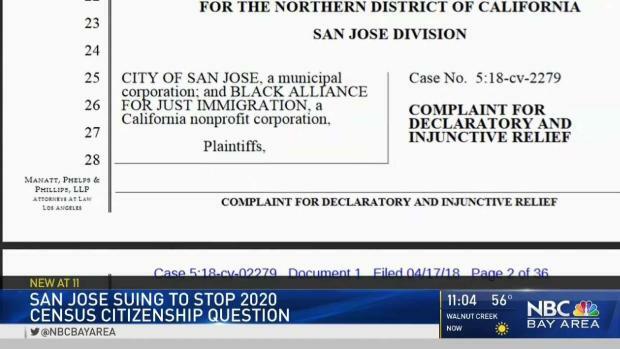 The city of San Jose added a new lawsuit Tuesday to the list of challenges to a plan by the administration of President Donald Trump to add a citizenship question to the 2020 national census. The city filed the lawsuit in federal court in San Jose against the U.S. Department of Commerce and Census Bureau. Like several previous lawsuits, it claims the citizenship question is unconstitutional because the U.S. Constitution requires an "actual enumeration" of the full population. The lawsuits contend the question will deter non-citizens from answering and thus will result in an undercounting of the population. 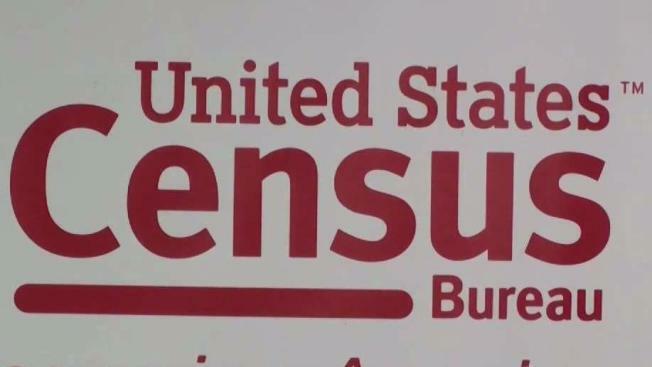 The City of San Jose announced Tuesday that it had filed a lawsuit in federal court seeking an injunction prohibiting the U.S. Census Bureau from including a citizenship question on the 2020 Census. Bob Redell reports. The once-per-decade census information is used to determine the size of congressional districts and allocation of federal funding. San Jose Mayor Sam Liccardo said in a statement, "In San Jose, everyone counts. "Adding a citizenship question to the 2020 Census will stoke fears and depress participation in diverse cities like San Jose, threatening hundreds of millions in funding for health, education, and other critical services upon which our entire community depends," Liccardo said. San Jose was joined in the case by the Black Alliance for Just Immigration. The lawsuit says San Jose is especially vulnerable to harm because it has historically been a home to immigrants and nearly 40 percent of its population was born in another country. The first lawsuit challenging the census question was filed in federal court in San Francisco in late March by California Attorney Xavier Becerra on behalf of the people of California. A few days later, the city of San Francisco joined six other cities and 17 states in another suit filed in U.S. District Court in New York City. Another lawsuit has been filed in federal court in Maryland by seven residents of Maryland and Arizona. Like other lawsuits, San Jose's case also claims the plan violates the federal Administrative Procedure Act, which prohibits "arbitrary and capricious" actions by administrative agencies. A U.S. Department of Justice spokesman has said the department looks forward to defending the use of the question.